Ren and I prioritize food when we travel. Before a trip, I do research to find the best local dishes, restaurants, markets, and street food stalls. When it comes to food, we only want authentic experiences which is why I was on the fence about this khantoke dinner. A dinner accompanied by a “traditional cultural show” sounds like a combination typically reserved for tourists. We went to a similar event in Cappadocia a couple of years ago called “Turkish Night”. It was a three-course dinner with overflowing wine that featured a series of traditional Turkish performances like whirling dervishes and belly dancing. We had a great time and the performances themselves seemed authentic, but the event itself looked to be something concocted mainly for tourists. I was concerned that this Khantoke dinner at the Old Chiang Mai Cultural Center would be the same. But as it turns out, a khantoke dinner is something locals have been doing for centuries to celebrate festivals and holidays. It’s a Thai Lanna tradition offered to guests at ceremonies like weddings, housewarmings, and funerals. I was pretty sure we weren’t getting invited to any funerals in Chiang Mai so we decided to go for it. 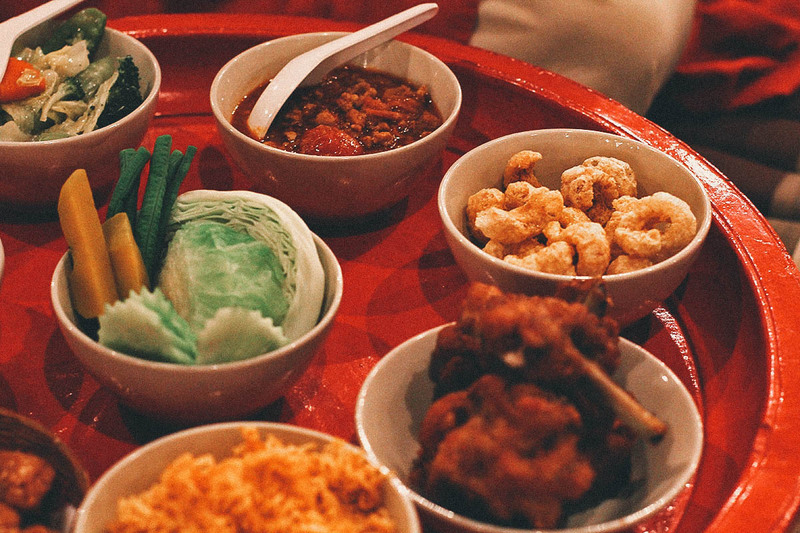 Seeing as how we were here to celebrate the Loy Krathong and Yee Peng festivals, a khantoke dinner seemed the perfect way to usher in the week’s festivities. What is a Khantoke Dinner? 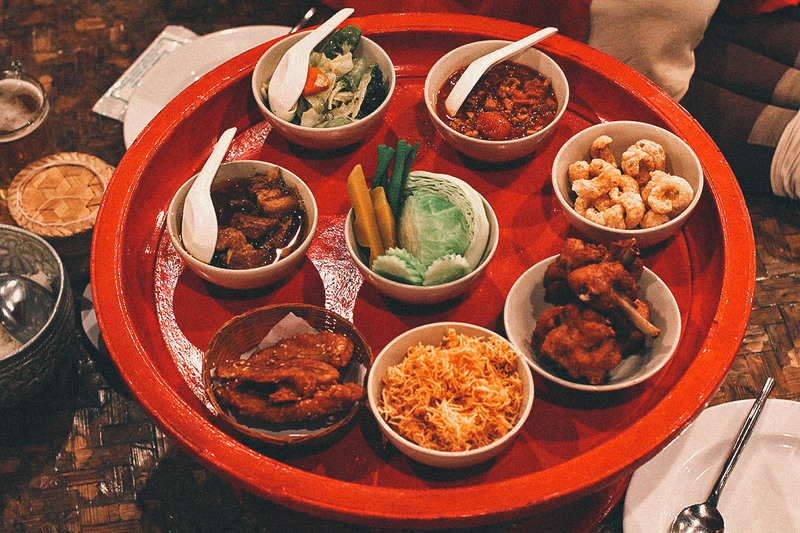 A khantoke is a traditional Thai Lanna lunch or dinner offered to guests to celebrate any number of occasions. They can be smaller gatherings enjoyed at home, or they can be more grand affairs celebrating annual festivals like Loy Krathong and Songkran (Thai New Year). 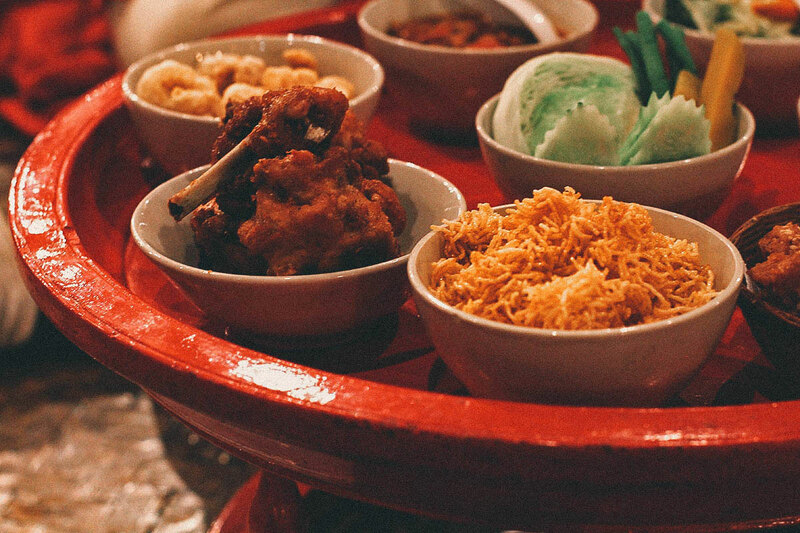 The term khantoke specifically refers to the round pedestal tray used as a dining table during the meal. There are two types of khantoke, the Yuan khantoke and the Lao khantoke. The former is made of teak wood while the latter is made from bamboo strips and rattan woven together. The Yuan khantoke is predominantly used in Northern Thailand while the Lao khantoke is used in Northeast Thailand, Laos, and Sib Song Panna. 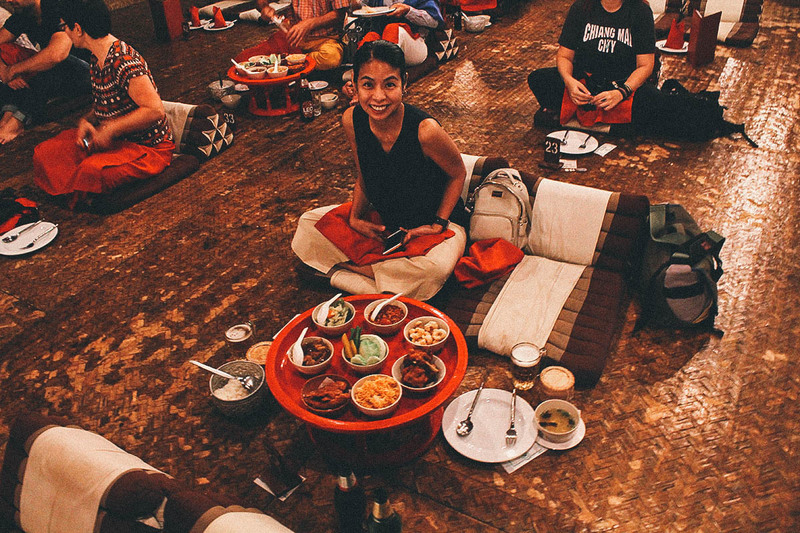 Traditionally, I believe khantoke meals are meant to be eaten entirely with your hands whilst sitting on Thai floor cushions. 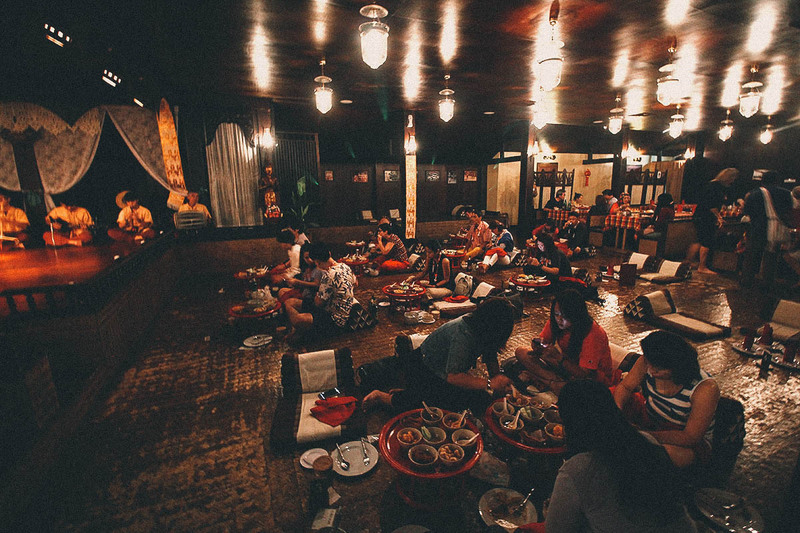 In an effort perhaps to make it more comfortable for tourists, our khantoke dinner at Old Chiang Mai Cultural Center was served with cutlery and the option to sit on regular dining tables. 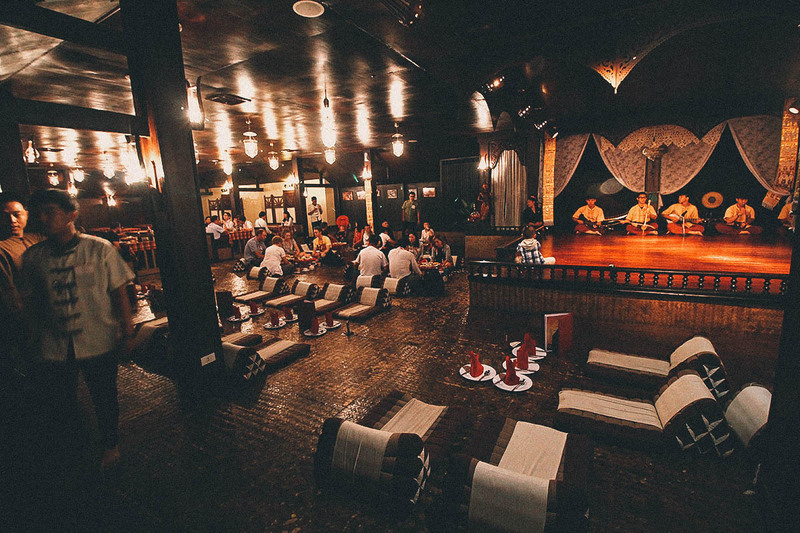 Old Chiang Mai Cultural Center has been offering khantoke dinner shows to tourists since 1971. 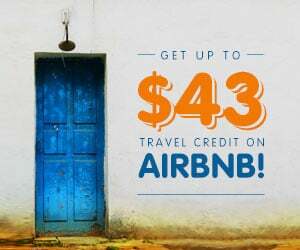 It costs THB 570 per person inclusive of food, water, and transportation to and from your hotel. You can also purchase advanced tickets through Kkday for just THB 500 each. As you can see below, there are tables at the far ends of the room, but I think a khantoke dinner is best enjoyed on the floor. Those Thai triangle cushions are surprisingly comfortable and it’s nice to be looking up at the performers as well. There’s Ren patiently waiting for me to finish taking pictures so she can start eating. 😆 Your entrance ticket includes food and water. Other drinks like beer are available at an additional cost. There are no specific components to a proper khantoke meal, but here at Old Chiang Mai Cultural Center you can expect a tray with any of the following dishes: Burmese pork curry, green chili paste, minced pork in tomato-chili paste, fried pork rinds, fresh and stir-fried vegetables, sweet crispy noodles, fried pumpkin or banana, and fried chicken. We were also offered soup, regular and sticky rice, and fresh fruit with either coffee or tea at the end of our meal. The food was great and a lot of fun. It was nice to experience a communal meal like this on the floor, eating with our hands, with Thai music playing in the background. It says a lot about how important family and community are to Northern Thai people. And don’t worry about fighting your spouse or sister for that last piece of chicken. Diners are entitled to free refills of every dish so eat as much as you like! That bowl of nam prik ong or minced pork in tomato-chili paste was my favorite. A popular dish in Northern Thailand, you use those fried pork rinds as a vessel to scoop up the chili paste. The combination of crunchy, savory, sour, and spicy was awesome. It’s a delicious dish that we enjoyed many times in Chiang Mai and Chiang Rai. The show begins around half an hour after the food is served. There are two sets of dances performed every evening. 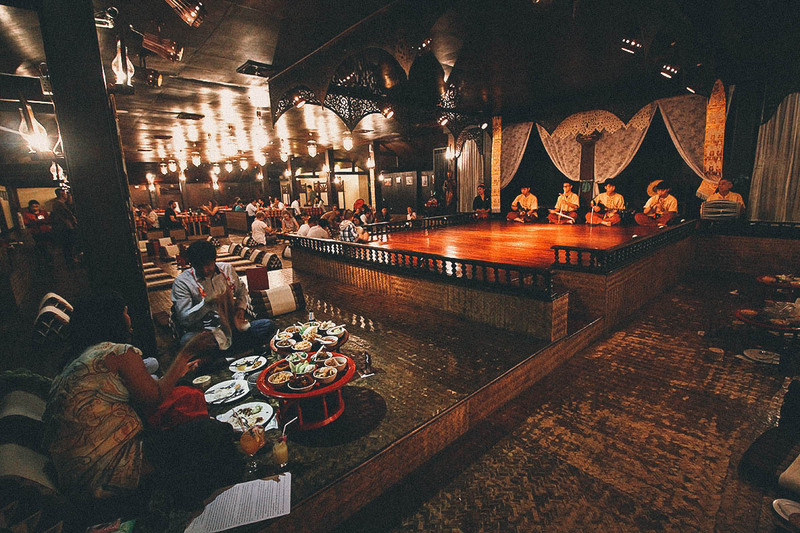 The first set – Northern Thai classical dances – is performed inside the dining room while the second set – Hilltribe and Northern Thai folk dances – is performed outside. All in all, about a dozen dances are performed over a period of two hours. The very first dance of the evening is the Fon Lep or Fingernail Dance. It’s a traditional Northern Thai dance usually performed only on special occasions like state visits. It’s a slow and graceful dance with each performer wearing six-inch long brass fingernails to accentuate their finger movements. For me, it was the most interesting dance of the night and something I can recognize as being distinctly Thai. According to their program, they have about twenty dances in their repertoire. I believe the lineup of dances changes on a nightly or weekly basis. 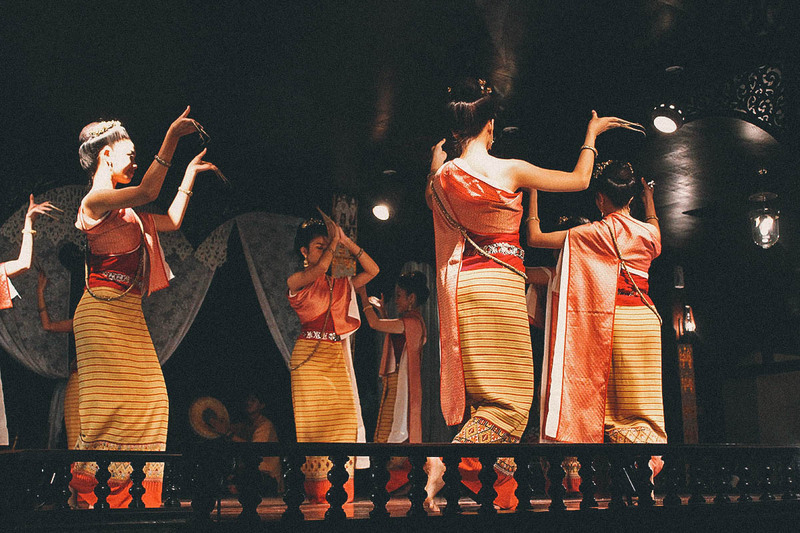 Scroll down to the bottom of this post for a list of the most popular dances performed at Old Chiang Mai Cultural Center. Check out this short video I put together of seven fun things to do in Chiang Mai, which includes footage from this Khantoke dinner. 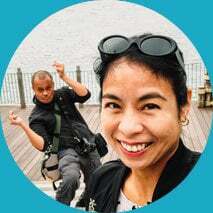 Is the Khantoke Dinner & Show Touristy? So now that we’ve done it, there are probably three things anyone interested in this khantoke dinner will want to know. Was it touristy? Was it worth it? And would we do it again? The answers to that are: I’m still not sure, yes, and probably not. I’m pretty certain that the dinner experience itself is authentic. Like this TripAdvisor article said, a khantoke meal is a Thai Lanna tradition that’s existed for centuries. Places like Old Chiang Mai Cultural Center have only packaged it to make it available to foreigners because like I said, very few of us will ever be invited to a Northern Thai home to experience it. I’m not sure how close this version is to the real thing but I don’t see why it wouldn’t be. For just THB 500 per person (through Kkday) with unlimited food and roundtrip transportation, I’d say it’s definitely worth it. The food is good and you get two hours of cultural entertainment that you probably can’t get anywhere else but Northern Thailand. Admittedly, the dances did feel a little repetitive after the first few. Many of the dances are similarly paced so I found myself wanting it to end after the food and beer were gone. However, that’s just me. Others may not feel the same way. I’m not much into folk dances to begin with and we were here mainly to experience the food, which we enjoyed very much. If there were a place that offered khantoke dinners minus the show, then I would have been satisfied with that. With that said, I am sincerely happy I saw the show. If you’d like to add a cultural experience to your Chiang Mai visit, then a khantoke dinner is one to consider. I’ve read that several places now offer this dinner show but I think it’s best to experience it here at Old Chiang Mai Cultural Center. They’re the original. As advised, the cost for this khantoke dinner with roundtrip transportation from your hotel is THB 570 per person. But you can purchase your ticket in advance through Kkday for just THB 500 each. I’m a big fan of Kkday and often use them to find interesting deals when we travel. This isn’t the complete lineup but these are some of the dances you can expect to see here. 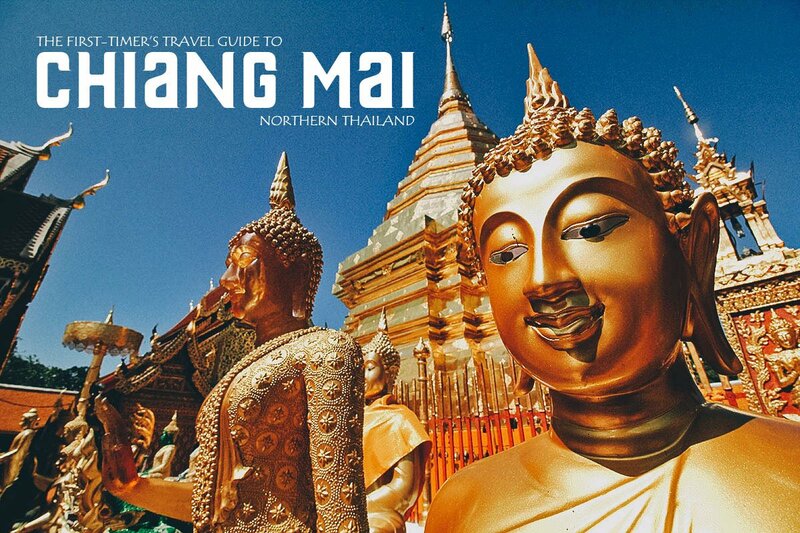 I got this list from their website, oldchiangmai.com. Fingernails Dance – Traditional Northern Thai dance typically performed on the most special of occasions. Swords Dance – Derived from an ancient martial art, this dance involves the use of twelve swords. 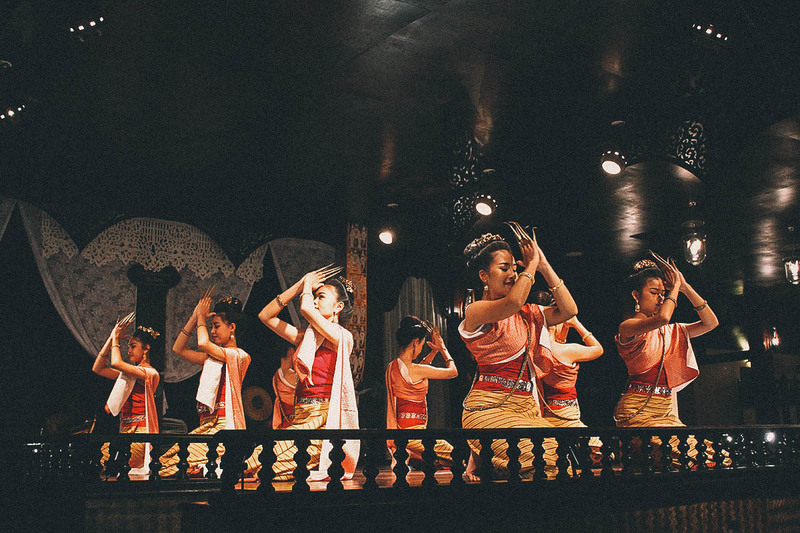 Shan Dance – A dance with origins in Burmese culture but later adopted by the Shan people. The Flame Worshiping Yogis – The last prince of Chiang Mai commissioned a Burmese dance instructor to choreograph this dance to welcome King Vajiravudh’s brother to Chiang Mai in 1920. The movements are derived from postures of flame worshiping yogis. Celebration Dance – This dance was composed and choreographed in 1927 to celebrate King Prajadhipok’s visit to Chiang Mai. Thai Lue Dance – This dance was originally performed by the Thai Lue people of Nong Bua Village as they escaped the wars in Yunnan Province, China. 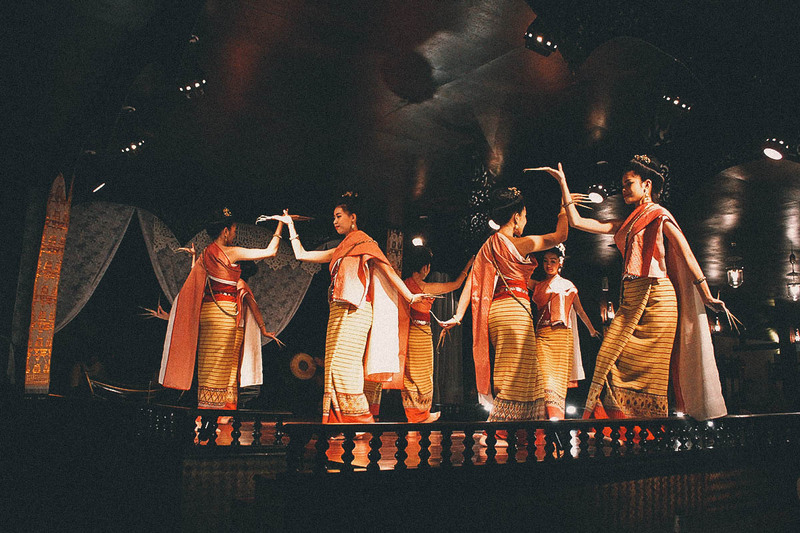 Mahn Mui Chiangta Dance – This is a mixture of a Burmese court dance and a Thai dance. The costumes are in the style of Burmese court ladies during the reign of King Thi-baw, the last king of Burma. Tai Dance – This is another dance of the Shan or Tai people. Silk-Reeling Dance – This is a folk dance characterized by continuous flowing movements meant to mimic the art of silk weaving. Noi Jai Ya Dance – This dance is from a scene of a musical play of the same name. It shows the poor scholar Noi Jai Ya reproaching Wankeao, the village beauty, for getting married to Sarng Nanta, a rich but ugly man from another village. Wankeao tells Noi Jai Ya that the plan wasn’t hers but her parents. She confirms her love for him and they elope. Forn Guy Lai – This is another traditional dance from the Thai Lue people. 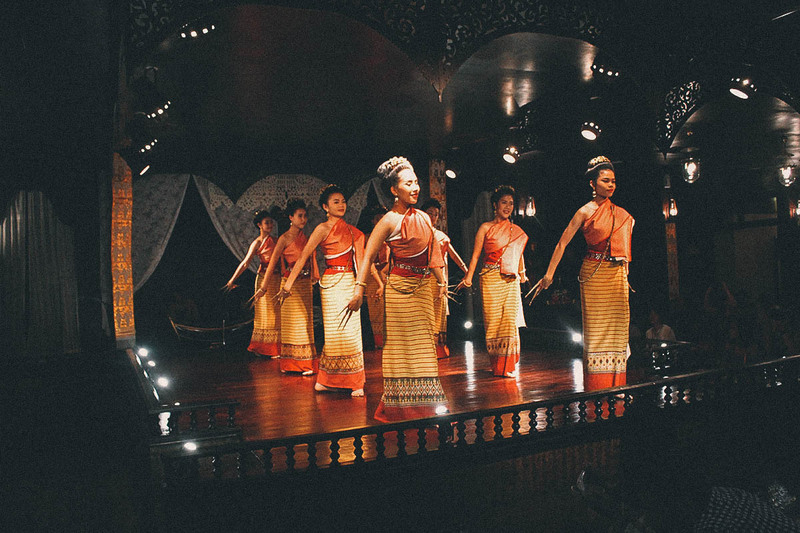 Rumwong or Circle Dance – This is the aforementioned dance wherein diners are invited onstage to join the dancers. It’s an easy dance with simple movements. The cost for the khantoke dinner comes with roundtrip transportation from your hotel in Chiang Mai. Otherwise, you can use Uber or Grab to get to the Old Chiang Mai Cultural Center. Kkday sponsored our Khantoke Dinner at Old Chiang Mai Cultural Center in exchange for an honest account of our experience. They didn’t ask me to do this. I went through their site and chose this activity on my own volition. As always, all words and opinions expressed in this post are mine and mine alone.